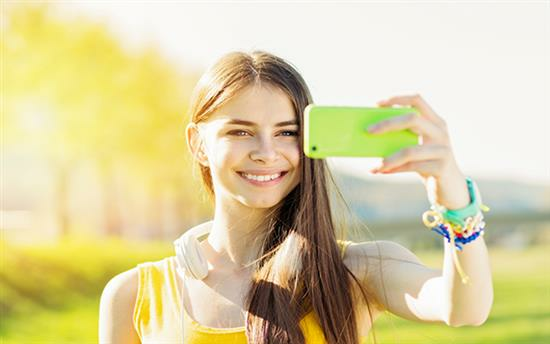 According to Beverly Hills, plastic surgeon, cosmetic surgeons can utilise social media platforms, including Snapchat, to educate more patients about popular facial rejuvenation treatments and procedures. Dr Tarick Smiley, of California Surgical Institute, believes apps like Snapchat represent an ‘underused communication tool’ when connecting directly with patients that may be interested in facial rejuvenation procedures, as well as breast augmentation, tummy tuck, body lift after weight loss, facelift, and rhinoplasty surgery. The expert says his account is proving popular because the educational “Snaps” have become very prevalent amongst the plastic surgery community. Dr Smiley explained in a recent media release that he has been gaining a ‘remarkable new following’ through this medium. So should all aesthetic experts be utilising this popular and fashionable form of social media to connect with patients which may be considering facial rejuvenation treatments in London? Despite already using typical social networks such as Twitter, the aesthetic expert has decided to utilise the latest app, Snapchat, as it offers ‘unique tools that make it easy to disseminate videos, photos, and brief explanations geared towards users who might be considering cosmetic plastic surgery’. There is of course merit to evolving with the times and using social media to provide clear and informative videos to prospective patients, but this is not a replacement for a face to face consultation – especially when it comes to facial rejuvenation surgery. A consultation is a meeting between the surgeon and prospective patient which allows the aesthetic expert to introduce themselves and the staff or clinic before explaining the desired procedure and the results a patient can expect. Patients will be asked to explain what they wish to change and explain their reasons for doing so. “We live in a world obsessed with social media, so of course it’s inevitable this forum now has a part to play when patients are considering facial rejuvenation treatment in London. However, there can be no substitute for meeting with your prospective plastic surgeon to discuss your concerns and goals prior to treatment or surgery,” he explained. “I would advise any patients considering facial rejuvenation surgery – such as facelift surgery, neck lift surgery or blepharoplasty surgery – to book a consultation and learn as much as you can about the surgeon and the procedure/s you wish to have,” concluded the plastic surgeon.